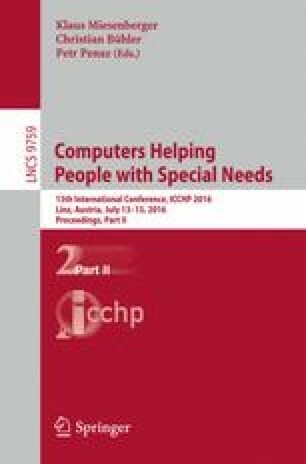 In this paper, we study one specic problem linked to text input techniques based on prediction and deduction lists; namely, short-word problems. Indeed, while prediction is fast and can be easily made effective for long words (e.g. more than 4 characters), short words take longer to be typed with prediction: the time spent browsing a list-based interaction slows the user down. The present study compares two possible approaches where the user selects inside a prediction list of short words versus tactile exploration (native Voive Over for Apple). Results of our comparative study reveal that our technique reduces the overall typing time and the error rate by 38 % compared to tactile exploration.